At the end of last week, CMS issued the proposed Notice of Benefit and Payment Parameters (NBPP) for the 2020 plan year. The NBPP is the regulatory framework which CMS uses to operate the federally facilitated marketplace. To learn more, you can check out our news item which includes links to the CMS press release, a summary fact sheet and the actual proposed rules. If you want to learn more about the proposed NBPP, Health Affairs released two blog posts by Katie Keith which dissects the rules. Her first blog post looks at the effect the NBPP will have on essential health benefits, market reforms and other exchange provisions. Her second post addresses the proposed changes to risk adjustment. The Center on Budget and Policy Priorities (CBPP) has done an analysis of the proposed NBPP and the effect that it could have on premiums in the marketplace. To read more about their analysis or to download a copy, check out our news item. The Collaborative on Health Reform and Independent Living (CHRIL) is hosting a webinar on Thursday, January 31, 2019 from 3:00-4:00 PM ET entitled “Health Reform and People with Disabilities: Lessons to Date from the CHRIL.” They will be highlighting many of the findings that the CHRIL has made as a result of its research. You can register now for this event. 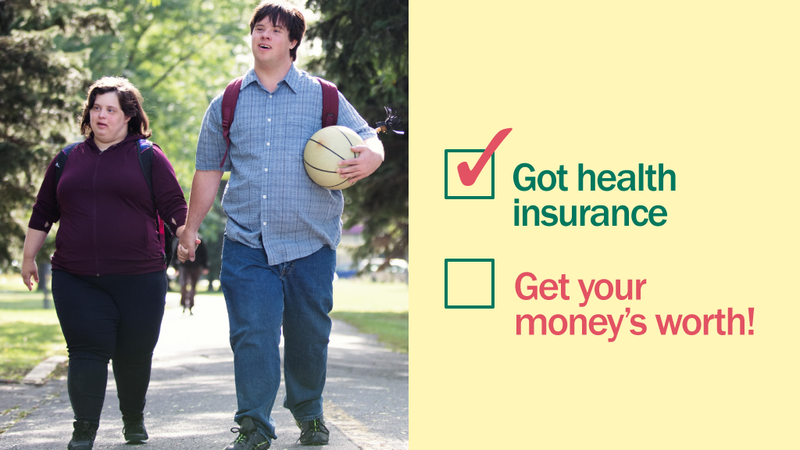 Now that Open Enrollment Year 6 (OE6) has ended for most, AAHD is continuing to work with Community Catalyst and other partners to highlight the benefits of health insurance and how to get the most out of your coverage. For more graphics like the one below which can be used to remind consumers to get their money’s worth, check out our newest blog post about the project. It should be noted that while open enrollment has ended for most of the country, there are some state-based marketplaces who are still accepting enrollments as their deadline differs from the federal marketplace. To find out what states have an extended deadline, check out our blog post. The Georgetown University Center on Health Insurance Reforms (CHIR) conducted some follow-up interviews with navigators about lessons learned during the latest open enrollment period. You can learn more about what they found in the CHIR blog post.